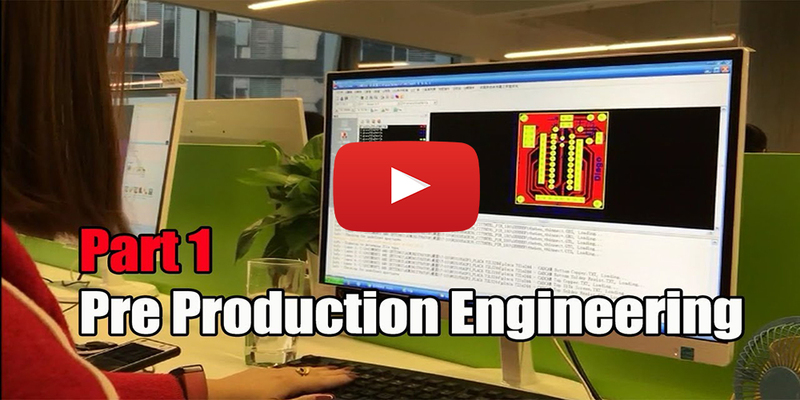 After your PCB layout is verified, it will be transformed into production data. To achieve the standard production, your layout data will be put into a standard panel with other layouts, the process is called typesetting. 1. We normally put the layout data with same solder mask, copper thickness, surface finish into one standard panel. 2. There will be a few HASL PCB that may be added to the standard panel with ENIG . This means that some orders will be randomly upgraded to ENIG. Customers can also choose to reject, click the button on the order page. 3. Regarding the multi-layer PCB, we will also add production data of inner layer with a smaller copper thickness to the standard panel with a larger copper thickness. For example, if you choose the inner layer of copper to be 1oz, it is possible to get a board with an inner copper thickness of 1.5oz. Similarly, when your design requires that the inner copper thickness cannot be changed. For example, your order requires impedance control. So you can choose to reject this default setting, please request this note while ordering or tell your sales rep.